Tali is a Missionary post placed at about 180 km. Northwest of the South Sudanese capital, Juba. Tali was opened in 1954, but the Comboni Missionaries were obliged to leave it after their expulsion from Sudan in 1964. 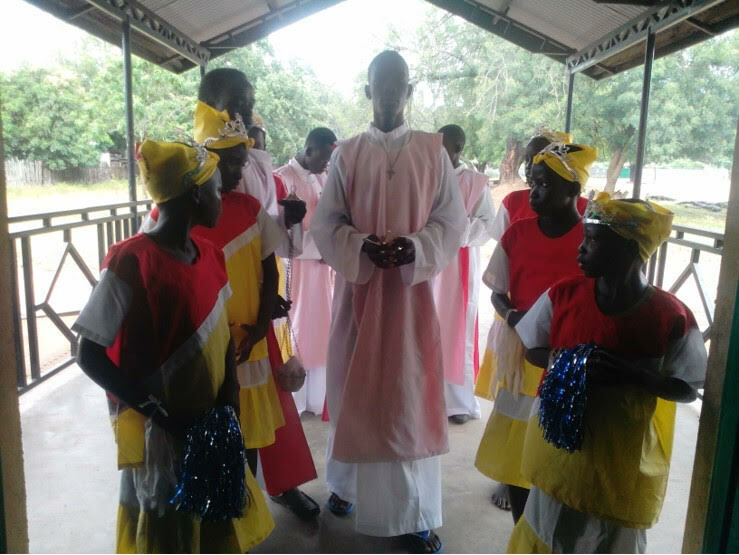 This missionary commitment was established anew in 2006, among the joyful canticles of the Mundari people who welcomed Fr. Markus Körber as their first parish priest after long years of sporadic pastoral visits. 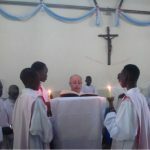 Now, twelve years after all this happened, the Comboni Missionaries continue working here in the areas of evangelization, primary and secondary education and health care. At the moment, we are three Missionaries: two priests and a brother who is a qualified nurse. 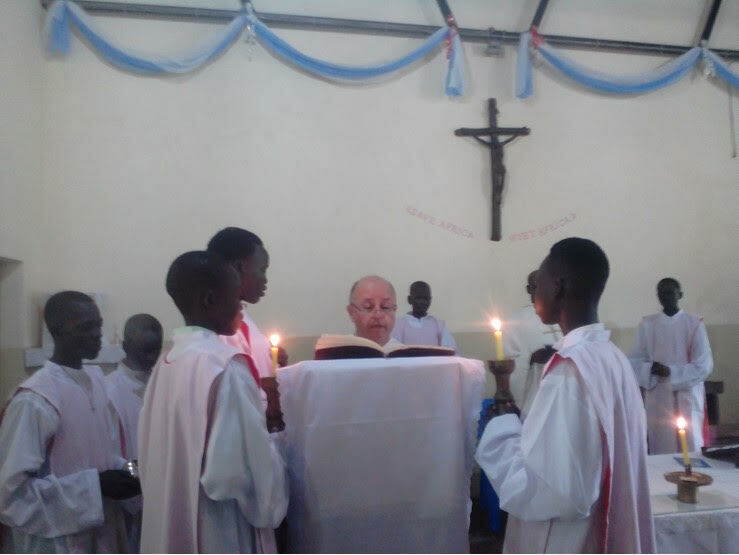 On October 10th, the Tali’s Primary – Catholic – School, dedicated to Saint Daniel Comboni, celebrated its anniversary and the acting Parish Priest, Fr. 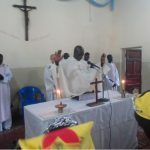 Martin Loku, a South Sudanese and a Mundari by birth, welcomed a large crowd of students and faithful who packed the Church on occasion of Comboni’s Feast day. Since the previous evening, people were much comforted by a very much awaited rainfall: in fact, it poured down over the thirsty ground and crops. Everybody thanked God and the intercession of St. Daniel Comboni, who gave such gift and blessing in this memorable day. 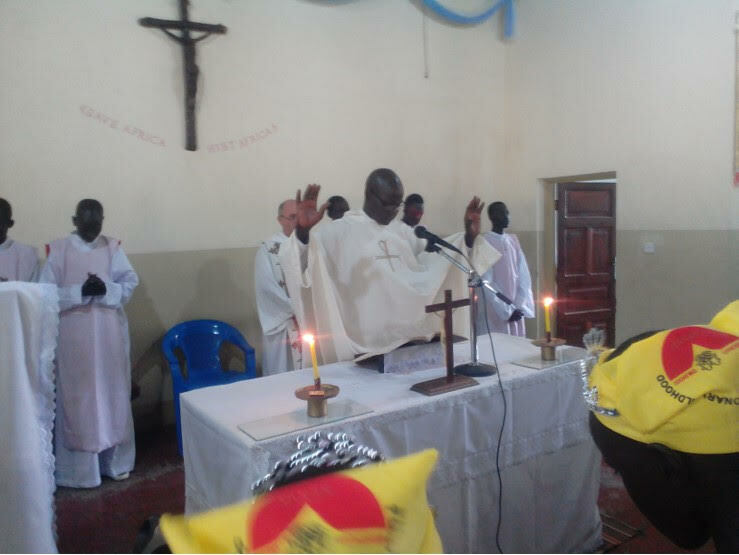 The homily stressed St. Daniel Comboni’s sacrifice, his love for the cross and the peoples of South Sudan. 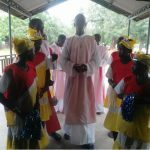 Soon after the Holy Eucharist, people gather in the nearby parish grounds to enjoy a bit of entertainment prepared by the school children of Comboni’s Primary School. 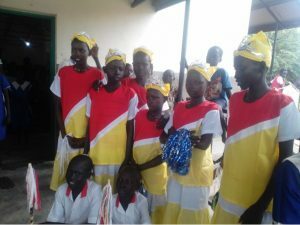 In the main play, the students of the Senior Government School re-enacted the coming of the Missionaries to South Sudan, the sacrifice of St. Daniel Comboni and the conversion of the Mundari to the Gospel of Christ. This social event was also attended by the local authorities who acknowledged the great contribution of the Comboni Missionaries and the Franciscan Elizabethan Sisters for the welfare of the Mundari tribe in Tali Payam, Terekeka State.